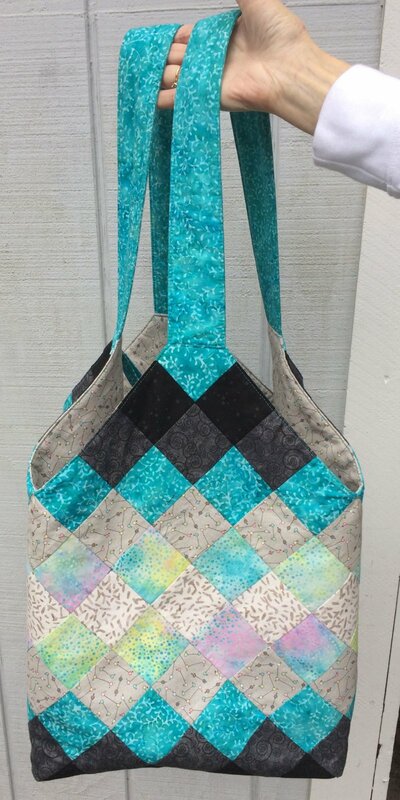 This bag is great for carrying your sewing supplies to class. Arrange 2½" squares in a pleasing pattern. Add lining and batting to finish. Finished measurements are 10" x 10" x 17". By using a pre-printed fusible grid as the foundation, your perfectly matched seams will wow your friends!